We should start by talking about the major crime that went on during this highly entertaining story. Specifically, the theft of every scene by Jessica Walter, every time she opened her mouth as the Gibbs-hunting Judith McKnight. 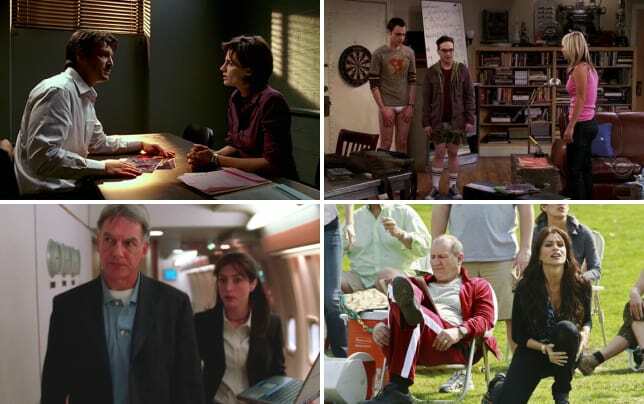 There were a lot of holes in NCIS Season 13 Episode 7 but all were forgivable (not to mentioned overshadowed), merely by her delightful presence. I'm not sure, but there's a good chance I'm in love. NCIS was called to investigate the murder of retired Navy Lieutenant Commander Runyan Hayes, who was shot to death in a forest. Ducky and his merry band of Sherlocks had been investigating the wrongful conviction of Hayes' son Michael, who was doing a life stretch in prison for the murder of Lieutenance Brett Swannie. Swannie was a nasty guy who treated all of his men like dirt. One man in particular – Jason Tupperman – didn't much like that, so he killed him and allowed his good friend Michael to take the wrap for sixteen years. The episode was spent bringing us to that point, through the use of tree sap, bark, hair analysis and DNA. Oh, and a set of car keys too. There were about three or four minutes allocated to Abby's weird tree-hugger mentality, involving at least two monologues that bordered on the ridiculous. (Hint: both started off with Dear noble eastern white pine...). That time could have been much better spent getting more deeply into the angst Abby faced when confronted with the idea that some of her expert forensic work resulted in the wrongful imprisonment of some people. That whole thing got wrapped up just a little too neatly at the end, when she hugged Michael Hayes after he absolved her of her sin of putting him in prison for sixteen years. Sixteen years! Very few people are that generous with their jailers. A bitter indifference to her would have been more believable. Then there was the "curse of the bullpen" deal. It sure looked like McGee and Tony were gearing Bishop up for a "hazing of the rookie" moment by having her stand up on her desk to reverse the curse. It was startling to see everyone applaud her as if they'd all labored under the same superstition. At any rate, it was ridiculous. Agent DiNozzo took a few clown lumps in this story too, as usual. When Tony showed his banana-peel wrap to draw out the sliver, Gibbs treated him a sap and barked at him to sit down. Then, he was obliged to say a prayer to the tree after putting the sliver back into it. He was made to look like a complete fool in both of those of those scenes. The exact opposite of the seasoned agent we know him to be. She's the gift to this show that kept shining so brightly. I don't recall ever laughing so much at an NCIS episode. She's the perfect foil for Gibbs, who doesn't really mesh well with too many people. I sincerely hope she'll be back. There's hope that she will, given that she'll be collaborating with McGee on a novel. And kudos to the writer for highlighting McGee's penchant for writing by giving us that little deal. As always, some real world science was brought into the mix. "Microscopic Hair Comparison Analysis" was a real tool that was used years ago, before DNA technology came to the scene. A quick Googling of the term will show that the FBI believes 90% of the cases that utilizes the tool are now suspect, as it is not reliable. Many of those cases are under study. Unlike Gibbs, I liked Palmer's bird call. It was pretty amazing, really, and sounded very much like the real thing. It wouldn't be the worst thing in the world for Gibbs and Judith to get together. She's only ten years his senior. Plus she's a lot of fun. Apparently, using a banana peel to draw out a splinter is real too, for the reasons Abby gave, involving enzymes. Be sure to check out some more of Judith's stuff in this week's NCIS quotes. 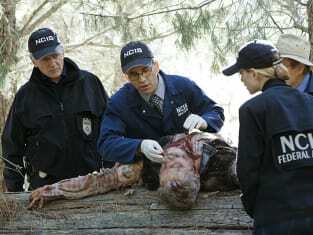 As always, you can see this episode again when you watch NCIS online. Now it's over to you. What are your thoughts on this entertaining episode? Let us know in the comments!